Here, at Reasonable Locksmithing, we understand the stress and frustration that comes with getting locked out of your home or vehicle. That’s why our professionally trained and certified team is quick to come to your aid. 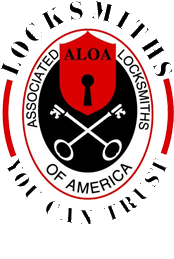 For years, we have offered immediate, around-the-clock, affordable locksmith service to residents in the Peeksill area. What should I do if I am locked out of my car? You should take a deep breath and try not to panic. We’ve all been there one time or another, so there is no need to feel embarrassed. Rest assured knowing that Reasonable Locksmithing has helped many Peeksill residents get back into their car and back on the road to where they need to be. No need to break in through a window or bust down a door. If you’ve lost or misplaced your keys, Reasonable Locksmithing is happy to help you get in without damaging your Peeksill home. Take a deep breath and give us a call. Be sure to let our locksmith representative know if it is an emergency, i.e. if there is an appliance left on or if there is a pet in need. I purchased a new home in the Peeksill area, should I get my locks changed? Absolutely. Here, at Reasonable Locksmithing, your security is our priority. That’s why we highly recommend you get your locks changed right away if you’ve moved into a new home. It is always best to be on the side of caution since you don’t know who the previous owner gave keys to. If you are in the Peeksill area and in need of immediate assistance, please do not hesitate to give us a call at (914) 739-3092. Let us know your specific situation and we will let you know our estimated time of arrival.